Everyone has a story. Everyone’s story starts somewhere. 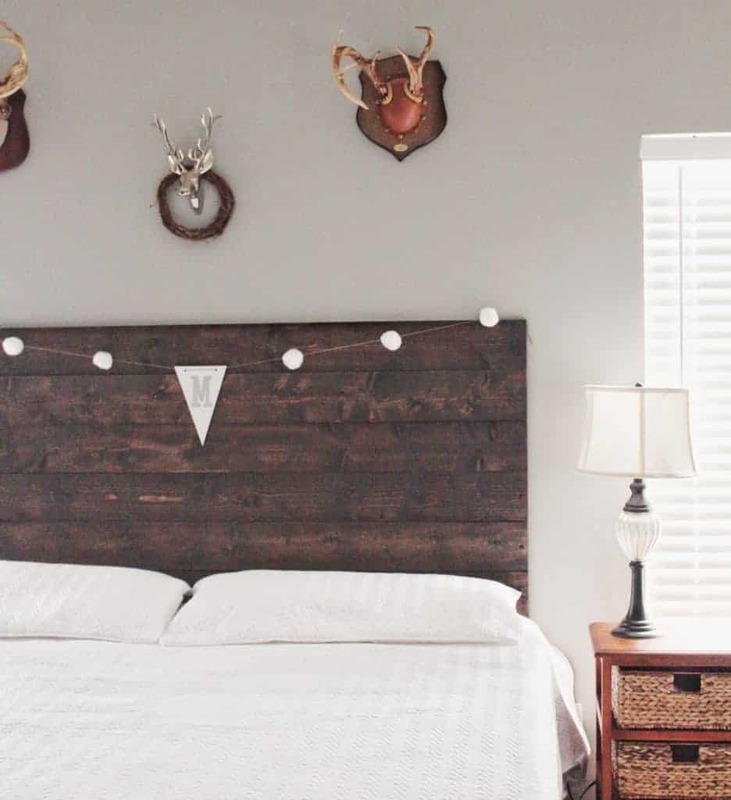 My love for anything DIY started here with this DIY pine board headboard. It all started on Pinterest (don’t most projects?) where I kept seeing these simple wood board headboards. I figured, how simple is that? This was back when my style was moving toward a modern farmhouse / rustic style. Enough about my beginnings, here we go with a step by step tutorial on this super simple project. I highly recommend this project especially for a DIY beginner. Is there such a thing? Lol. Purchase PINE BOARDS (any type of wood would work really, I just chose Pine because it seemed to be the cheapest). The boards I bought were 5.5″ wide, and I purchased enough material to have 6 boards stacked on top of each other. Have the store cut the boards to the length of your bed (you can do this yourself, it was just easier for me to have them do this). Buy a stain of your choice (I love the dark stains). Stain the boards. I used the Minwax dark walnut, and I was really happy with how it turned out. Keep the boards covered outside for at least a few days before bringing them in due to the STRONG odor of the stain. I am very impatient, and decided to bring them in only hours after they had dried. YIKES, I think my husband and I had a headache for a few days due to smelling the odor at night! My next step was not a good one. I had read online that many people have used 3M adhesive strips to attach the boards to the bedroom wall. FYI, I would not suggest using the 3M strips, they don’t hold up! They advertise that they will hold 5 lbs each, so I used 4 on each board and they still didn’t hold up. A lot of DIYers on Pinterest used this method, but I found that it just didn’t hold tight enough. After trying, unsuccessfully, with the 3M strips, we used regular screws, one on each side of each board. So we ended up with 12 screws total. I used “brownish”fingernail polish to paint the head of the screw to match the boards. And thats it folks! 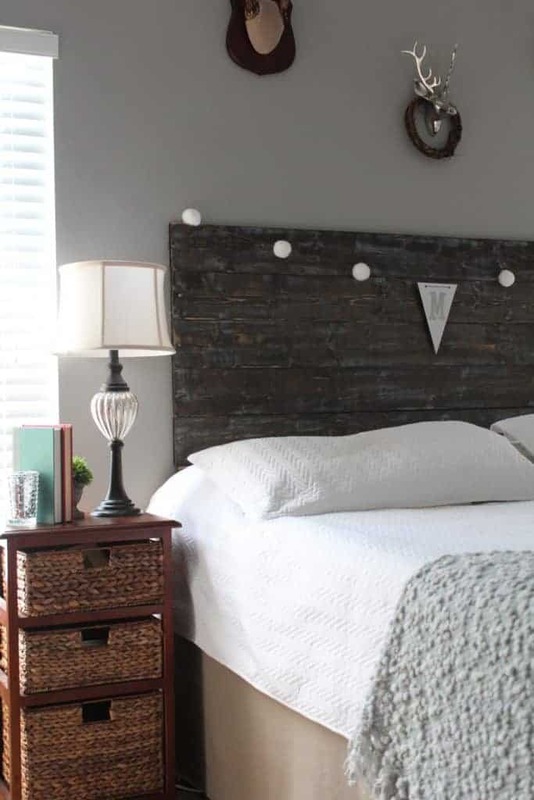 This DIY HEADBOARD PROJECT was super cheap and easy. Below are a few pics of the room with the headboard and actually decorated! My beginnings might have been simple, but you have to start somewhere right? It’s so pretty. I can’t believe you had a board fall on you in the middle of the night! I would never think to use 3M strips to hold up large pieces of wood ???? Crazy about the board right! I had read a ton of other blog posts who had used the 3M strips, and they said it worked great! Yea right. AND the 3M strips said they held up to 10 lbs EACH. Thanks Michelle, and oh no, I can’t believe it gave you a black eye. The same thing almost happened to me, although I was able to catch the board before it hit me. It’s been great being a part of this party, and hope in the future I can join again! 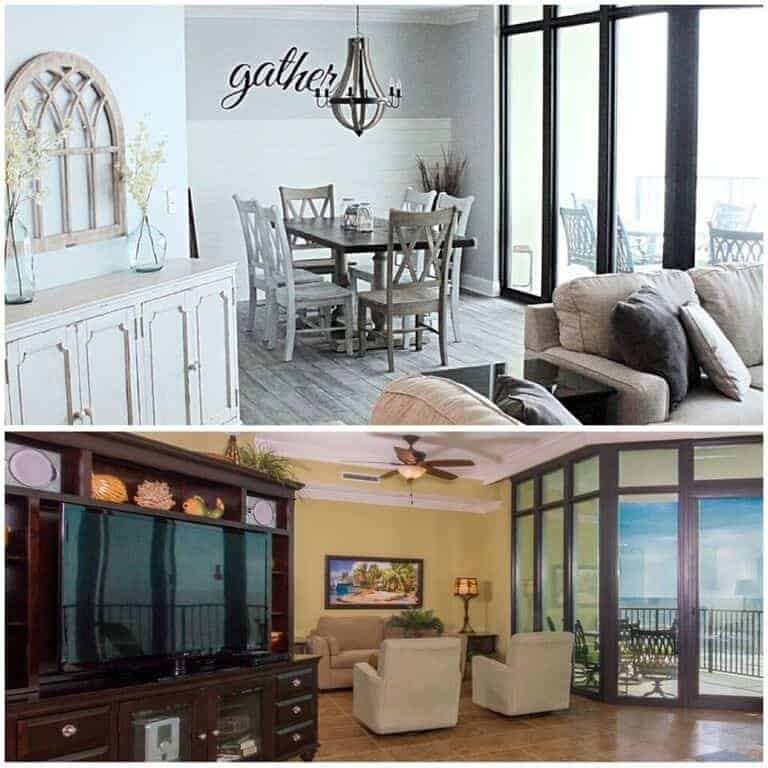 I’ve been looking for ideas for a headboard for my guest room. I love this idea, frugal but makes an impact. Thanks for the inspiration. So glad this post has been inspirational. This was one of the easiest DIY’s I’ve completed to date. Good luck!